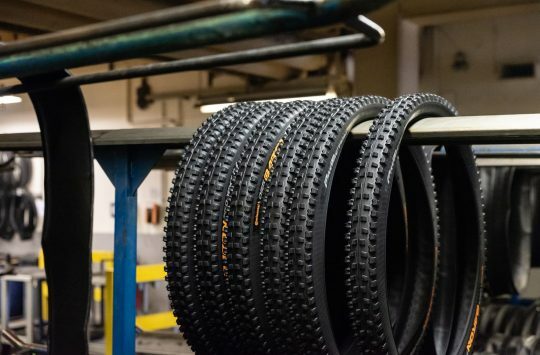 Although its parent company, Vee Rubber Group, has been around since 1977, Vee Tire Co. only came into existence in 2013, making it a relative newcomer on the scene. In that time, Vee has built up a huge range of fat and plus size tyres and this is reflected in the design of the Crown Gems. Even though it’s listed at 2.35in, it’s comfortably the largest volume casing on test, yet with smaller knobs across the tread pattern it also manages to be the lightest on test by at least 200g, weighing in at just 768g. As well as the lower profile tread pattern, additional weight saving comes from the use of a super supple, single ply, 185TPI casing. It feels lovely to the touch, but the supple casing had the unfortunate side effect of making the Crown Gems an absolute pain to get up tubeless. Even when using an Airblast track pump with both Mavic Crossmas XL Pro (full UST) and Spank Oozy 345 rims, we had to resort to putting a tube in and manually seating both beads on the rim before they sealed. Once fully inflated however, we didn’t experience any air loss, either through burping or sidewall leakage. The Crown Gem from Vee Tire Co. is billed as a versatile all-round tyre that comes in 27.5in and 29in sizes. I initially pumped them up to 25psi at the front and 28psi at the rear, but very quickly dropped the pressure at the front to 20psi to regain some braking and cornering traction. 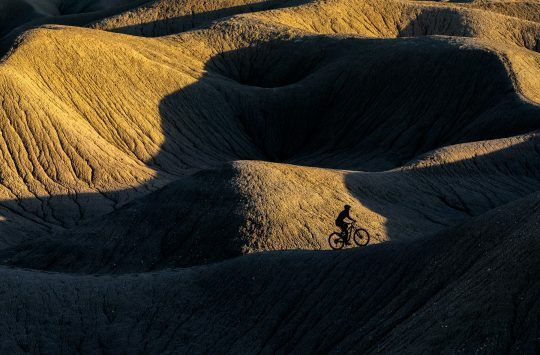 In the dry, cornering grip is good, but things rapidly get dicey and unpredictable on damp rock or roots. This is no doubt due to the combination of small closely spaced knobs, and the harder 56a/48a dual compound rubber. The Crown Gems are also available in a ‘Tackee’ compound, which uses the softer 48a compound for the entire tyre tread (rather than the firmer 56a rubber through the middle like our test tyres). This would go some way to providing more grip, but unfortunately they’re not available in the UK. 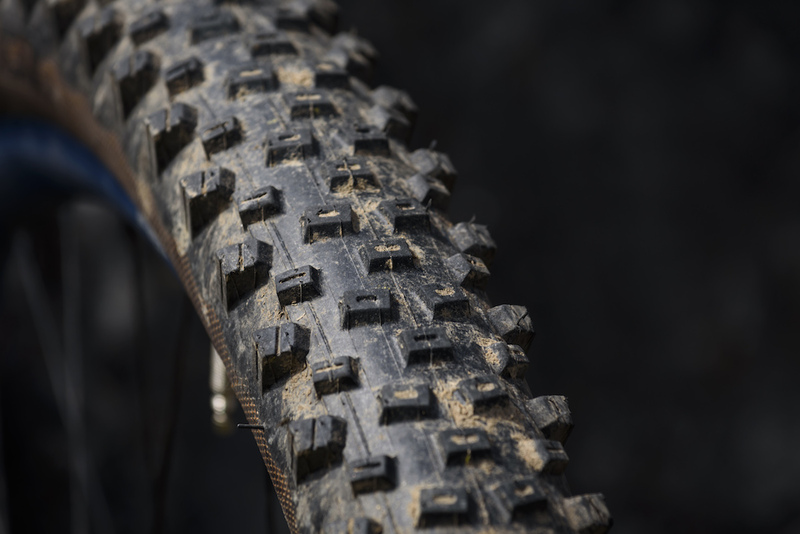 The closely spaced tread pattern is ideal for hardpack trails, but we found it slippery in wet or loose conditions. The dual compound rubber employs a firmer rubber compound for the centre tread and softer rubber for the cornering blocks. 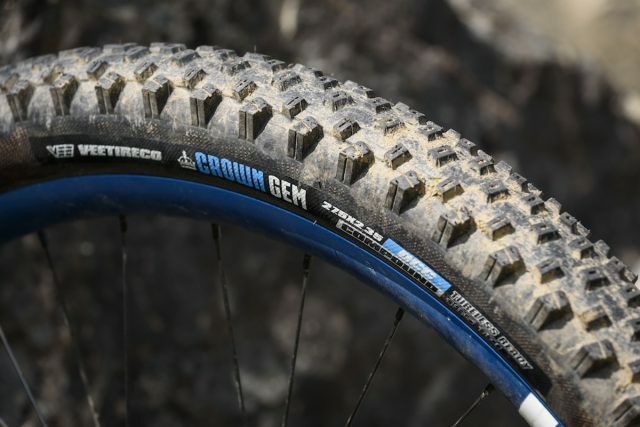 One benefit of the low profile tread pattern however, is that the Crown Gems roll exceptionally quick on drier trails, and climbs are dispatched with ease. They were the speediest tyres on test in the right conditions, but as soon as there was the slightest hint of moisture (you could say we have a bit of that in ol’ Blighty), they start to lose traction and spin out. It’s a similar story under braking – everything is ok on dry rock or hardpack, but you need to plan your braking actions as the tyres just don’t slow you down as quickly as the others on test. This was significantly worse in wetter conditions as they tended to slide about and things got pretty scary pretty quickly. Should you come across a rogue patch of mud while riding these tyres in the dry, you’ll be ok as long as it’s not deep slop, but don’t try anything too outrageous as they clog up easily and lose any semblance of grip. Wear was negligible over the couple of months on test, and in spite of the single ply casing and light overall tyre weight we didn’t manage to damage either tyre at all. But then again we didn’t ride them as hard as the other tyres on test, as the unpredictable grip and braking traction held us back from giving 100% on the natural trails around the north lakes. Unfortunately the Crown Gems left a lot to be desired when it came to riding in conditions other than bone-dry hardpack. 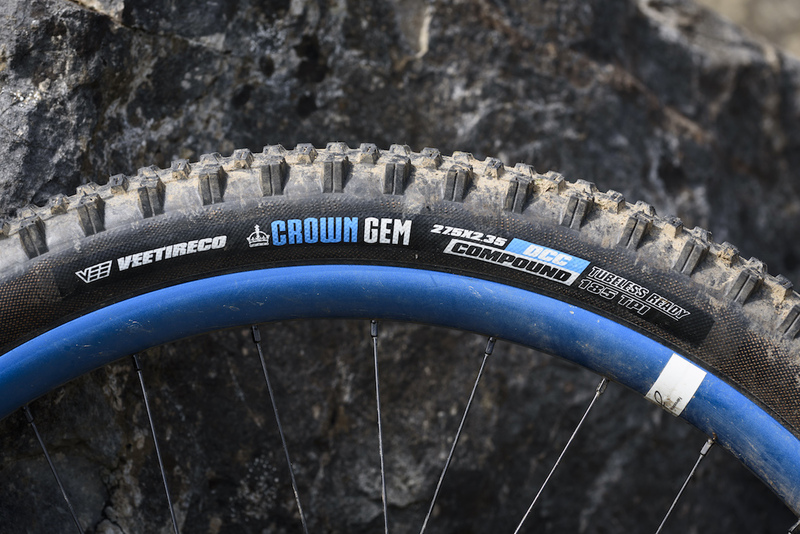 In relation to the other tyres in our High Tech Trail Tyre group test, the Crown Gems were the least confidence inspiring tyre on test. They struggled in anything but dry conditions, and any surprise sections of mud on the trail left us skating around with very little control. For all-round versatility, they leave a lot to be desired. It must be said that in terms of spec, they were the most under-gunned tyres on test though, and we were pushing them pretty hard in steep and rather rugged terrain. 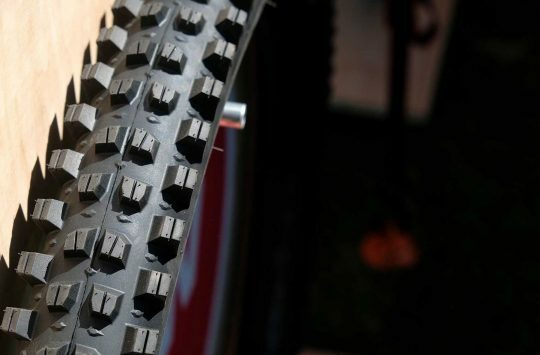 They were the lightest by far though, and the rubber compound was a good bit firmer than the equivalent High Roller from Maxxis or the TRSr tyres from e*thirteen. That made them quite speedy, and they do provide predictable performance for riding in and around trail centres and on hardpack trails. However, we think that the new Flow Snap tyre from Vee would have been a much more suitable option for our group test (Note: we didn’t choose each tyre for this test. We went to each brand with a list of parameters for the group test, and they supplied us with the tyres they thought would be best suited to those intentions). 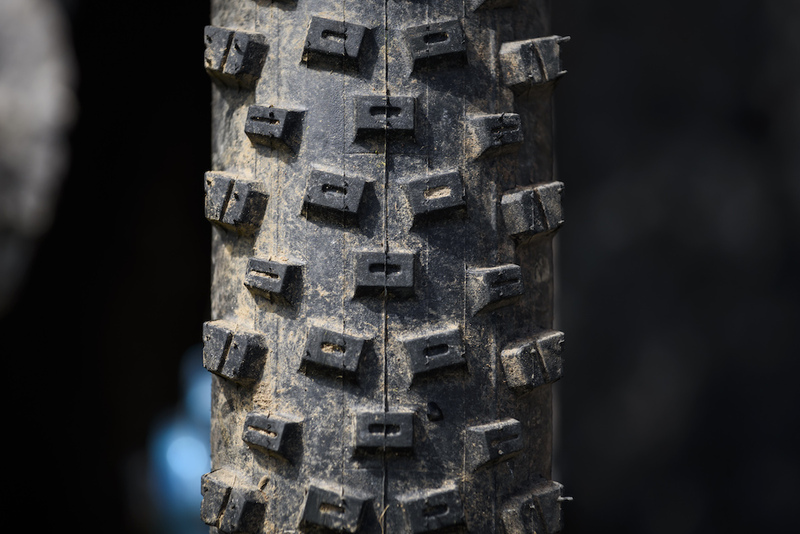 With a softer rubber compound, a more open tread pattern and more robust cornering blocks, the Flow Snap is a good-looking tyre on paper that would likely be a better match for taking on the likes of the Specialized Butcher and Schwalbe Hans Dampf. We’ve got a set of the new Flow Snap Enduro Core tyres on the way for testing, so stay tuned for our review on those.